Brands are important. They have the capability to change not only individual lives, but the world at large. When you talk about the healthcare industry, brands are the most underleveraged assets a business has. This needs to change as branding plays an important role in the success of any business, especially when it comes to the healthcare sector. A brand is not just a trade name, a slogan, or a symbol. It features a visual identity, a logo. Brands are living business assets that need to be created and managed properly to ensure they come to life across all the touchpoints. They should not only establish an identity but also provide a mode of differentiation and help derive economic value. Brands are made up of different perceptions of its various touchpoints. It is the image of the business that is built on perceived characteristics, reputation, and opinions. Whether or not you create it, every organization in the healthcare sector has a brand. It is based on their service, website, facility, and employees etc. Therefore, it is necessary to make sure that the shaping of the brand takes place the way you want it to. Otherwise, the entire image of your healthcare brand can be ruined. If you think building your brand is only related to companies that sell products, such as Apple or Nike, think again. The service sector organization, such as healthcare organizations also need branding to portray a positive image of their service, which can help in the overall image building of the organization. As mentioned before, a brand has a distinct personality, traits, and a recognizable identity. People use your services because of the security it offers and the well-reputed brand you have. If you don’t have a well-maintained and trust worthy brand, people are going to lose trust in your service. 5. Helps in attracting top talent as well as in retaining them, for e.g. doctors, nurses, physicians etc. Improving your healthcare service brand might sound overwhelming, but it is necessary. And, once you get started in reaping the benefits it offers, you will be more than happy to put in more efforts to it. Also, it is just the beginning phase that is difficult. You will see things falling into their place once you get started. Here are some tips that can help you in boosting the brand of your healthcare organization. It is important to look at the objectives of your healthcare organization objectively. Consider all your strengths and weaknesses. Consider the perception of your patients about your brand. How does the community view your services? While perceptions do not match reality in many cases, they do tend to build up and affect how your patients and other customers trust you. Therefore, fix your weaknesses and communicate to your clients what you do well. It is important to let the patients know about how much you care about fulfilling your promise made to them about their experience with your healthcare organization. It is important to deliver on your promise of creating a great experience, which will help you in earning a good reputation. Your reputation will grow with more patients you serve. It is important to highlight everything that separates you from others in the industry when you are branding. This can change the perception of the care you offer to your clients. The differentiating factors range from innovative procedures and the awards and acclamations received, to high-rated and experienced physicians and overall patient experience. 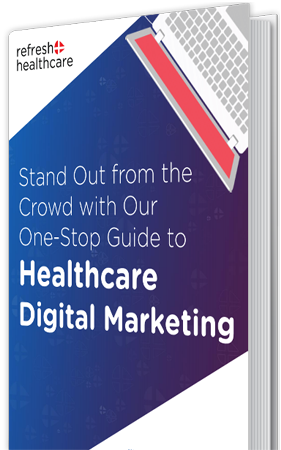 This will help you in the creation of a unique brand that can change the perception of the people about your healthcare organization. It is important to connect your offline and online channels and make the offline and online brand consistent with one another. Try to accept any opportunities that come your way to attend trade shows, conferences and other events where you will be able to meet important people in person. Include promotional items in your branding strategy but make sure they tie into your brand. These include items such as first aid kits, water bottles, hand sanitizers, medication reminders, digital thermometers, hot/cold packs etc. Make sure you have some branding done on these items so that the people using them know where they came from. It can also get people to talk about your service. Effective branding not only helps a healthcare organization build their name and perception, but also help in attracting and retaining employees. You will also be able to attract employee talent and funding and gain employee engagement. These things play a major role in determining the success of an organization. If you are not an expert in branding and need help, get in touch with the branding experts at Refresh Healthcare. 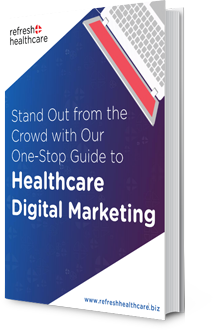 We have years of experience working in the field of marketing healthcare organization and will help you get it right too. Get in touch with us today for further information.